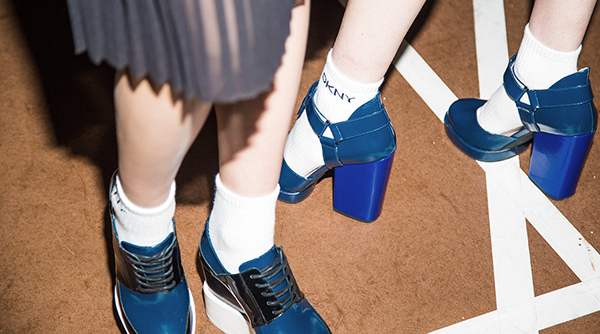 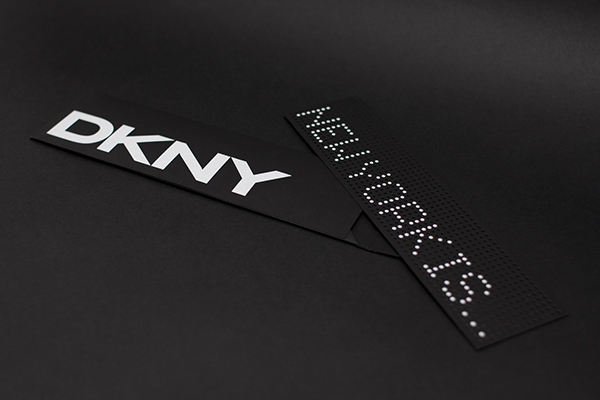 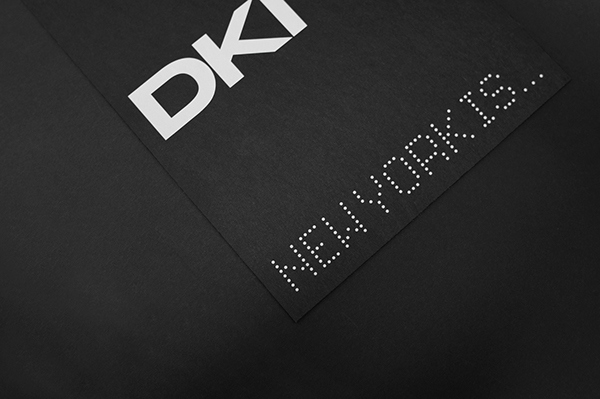 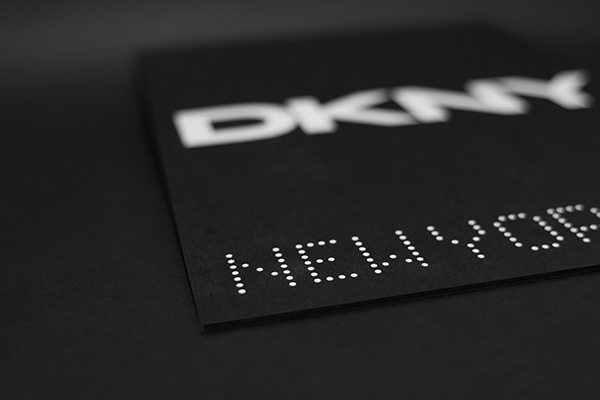 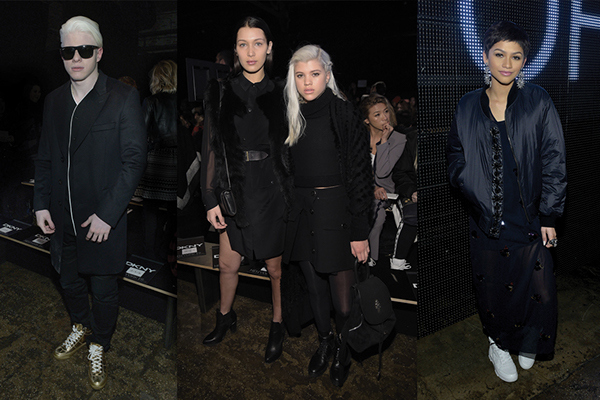 It's no longer a surprise when DKNY cites New York City as a point of inspiration — "NY" is right there in the name, an integral part of the brand DNA. 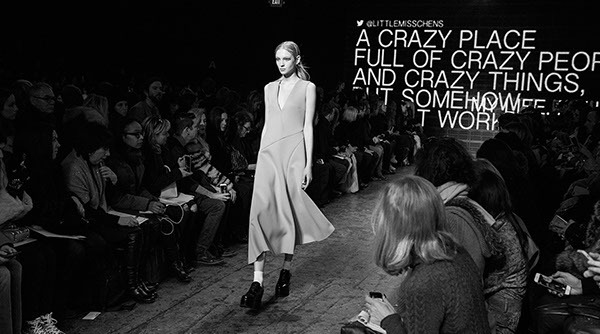 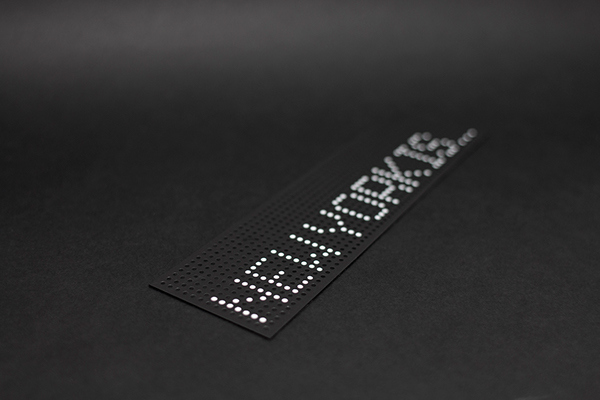 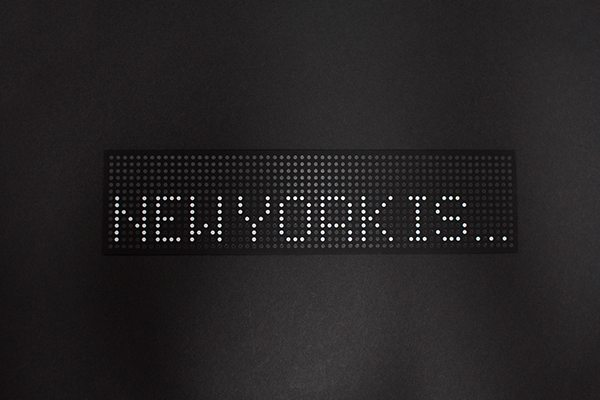 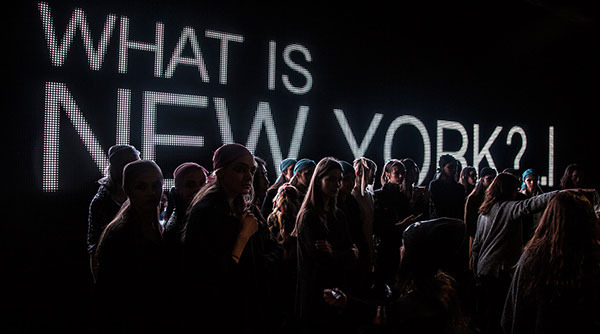 The concept of 'New York is...' was featured on the backdrop that was filled with tweets from fans who tweeted @DKNY about what New York meant to them. 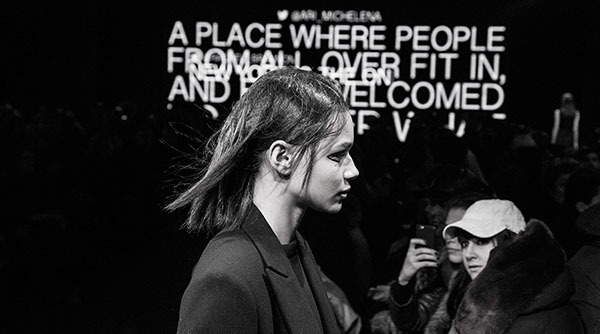 This was a successful way to engage fans - even though they may not have got a private invitation to attend the show they could feel a part of it. 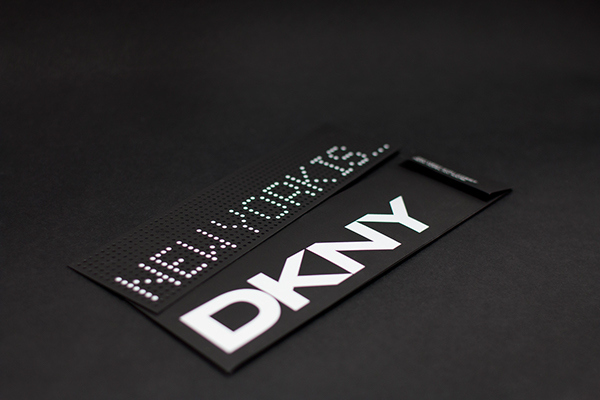 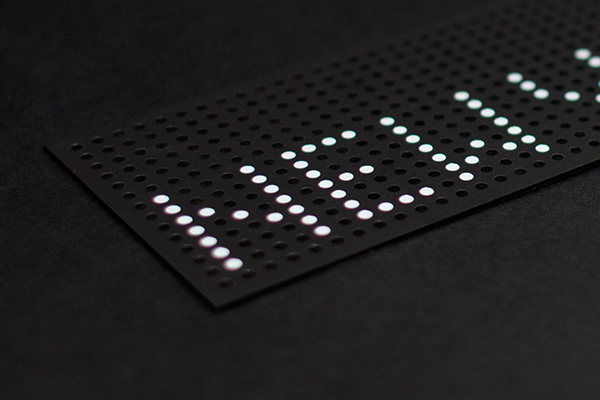 The bold, large LED display backdrop was echoed throughout all the designed elements of the event including the invitation design and packaging.